Grand Rapids, Michigan 1868. Drawn by A. Ruger. This map isn't part of any series, but we have other maps of Michigan that you might want to check out. 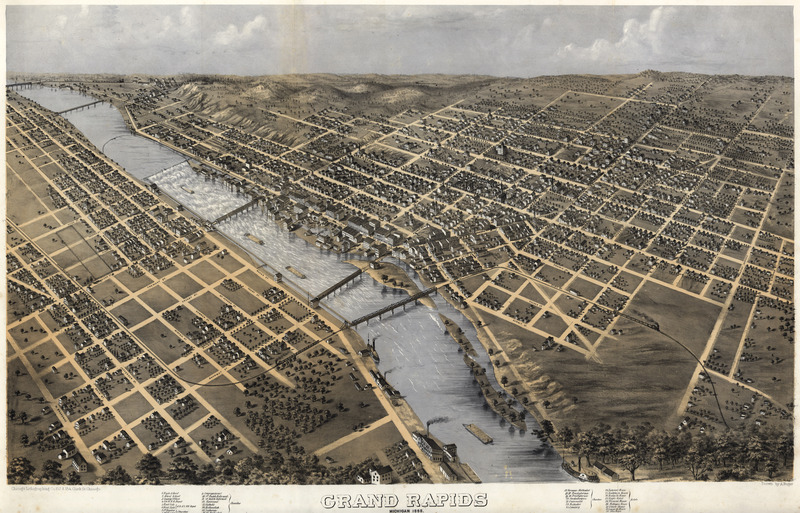 Albert Ruger's birdseye map of Grand Rapids, Michigan [gmap] -- home of the 38th president of the United States, Gerald Ford -- in 1868. Grand Rapids is also my go-to made up town when I need to quickly come up with some hypothetical town. My friend CRuss points out that when I have to come up with a random man's name, I frequently use "Curtis". So, I guess I'm saying that for me, any and all Curtises in Grand Rapids are basically my kind of people and salt of the earth, through and through. It's like I've known you all my life; brothers from another mother. 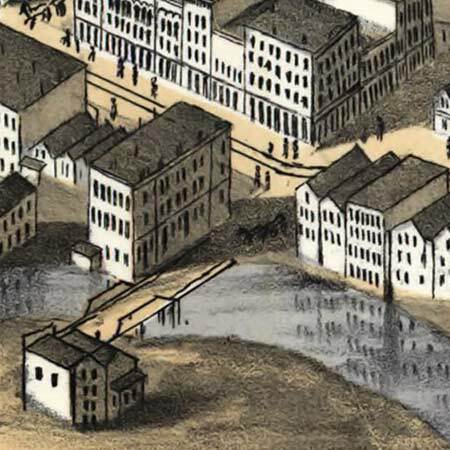 For more map resources and imagery from this period in Grand Rapids's history, check out the Historical Society of Michigan's website.